God Brought Me Here For A Reason: Perfect Drum Set To Try For My Hubby and Baby! We've been to a friend's house last Sunday after the church service and we stayed there til evening because both kids were so busy playing. My friend lend her daughter's toy drum to my son and I can really see that my son will love playing musical instruments too just like his father. He playfully beat the drum with the stick obviously enjoying what he did. Then it occurred to me that someday when my son will have proper school training, I will also let him study about musical instruments like the drums. I know his father can teach him too. I remember also one time when my Hubby brought home a new set of drum sticks, my son insisted of playing with it beating it anywhere like the wall, table and chairs. Well, I could only hope to myself that my son will excel on whatever skills he would love to develop. 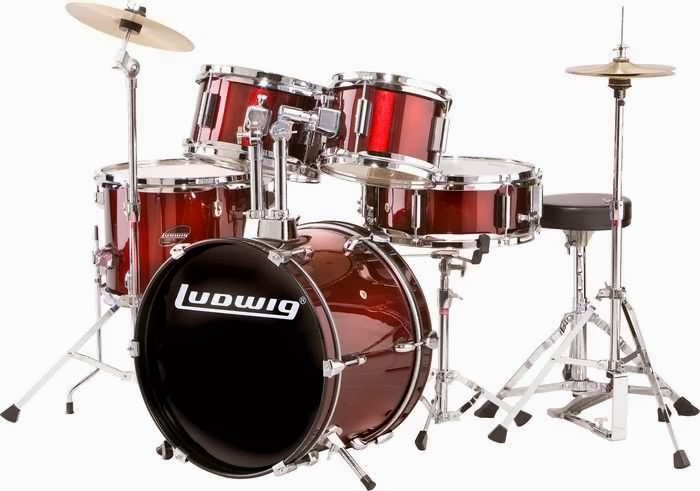 And when he will consider learning the drums, I would love him to try the classic ludwig junior outfit drum set at guitar center. For sure both father and son will enjoy it.